All Rotor Depot Cross Drilled and Slotted Brake Rotors for your Toyota Hilux Pickup are precision-machined and finished in our U.S. facility. Every rotor is inspected using the strictest quality control standards and checked for compliance with factory dimensional specifications. Our rotors are manufactured from premium-quality cast iron that meets or exceeds G3000/ISO9002,QS9000/VDA 6.1 specifications. Each rotor is double-disc ground and machine-mill balanced for optimal high-performance operation. We are so confident about the quality of our products that we offer the best warranty anywhere! Each Toyota Hilux Pickup Performance Rotor has Full Curve Slots strategically machined off the edge of the rotor to dramatically improve braking performance by up to 30% over factory stock brake rotors. Our slot design removes water, dust, and debris whilst minimizing the heating of the pad surface. Slots that are machined in the center of the pad surface are inefficient and only collect dust. The edges of our slots are machine-rounded to achieve maximum degassing and dust removal. Our Toyota Hilux Pickup Performance Rotors have a corrosion-protection finish in Silver that is electrostatically applied. The Zinc Coating Process is an extensive hand-applied operation that is not sprayed on like inferior coatings. Each Performance Brake Rotor is immersed in different solution tanks throughout the coating process. The final result is a thick protective coating that will help prevent rusting and give you a great custom look. 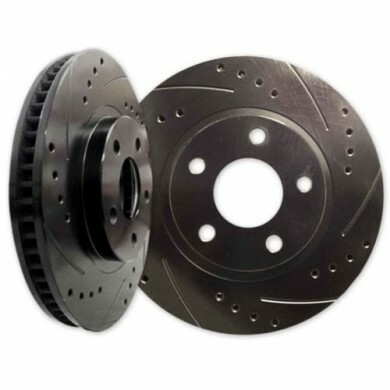 Rotor Depot Performance Rotors are machined to the same fit and dimensions as your factory brake rotors. You can install them with no worries about factory fit or function. We recommend that you have a certified mechanic install them for proper break-in procedure. 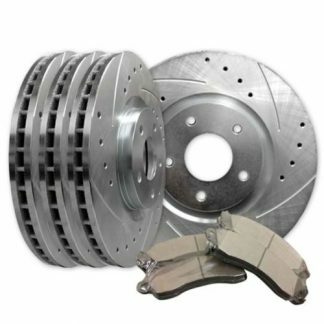 If you have any questions or need assistance choosing the correct brake rotor for your vehicle, contact our brake experts at info@jonesys.com. Rotor Depot Premium Brake Pads are guaranteed to be the same fit and specifications as your and factory brake pads. You can install them with no worries about factory fit or function. We do recommend you have a certified mechanic install them for proper break-in procedure. Below is our installation procedure to help you break-in your Pads. 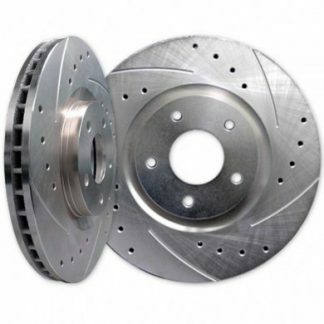 If you have any questions or need assistance choosing the correct brake rotors for your vehicle contact our brake experts at info@jonesys.com. 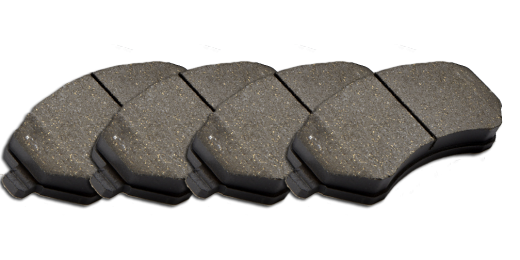 Rotor Depot Premium Heavy Duty Cermaic Brake Pads for your Toyota Hilux Pickup have a highest temperature fade resistance and friction level and is designed to give you the best stopping power in all weather conditions and guaranteed to give you noise free braking with low Brake Pad dust. Premium Heavy Duty Ceramic Brake Pads are ideal for all domestic and foreign light, medium and heavy duty Cars, Trucks, and SUV’s and any vehicles that require improved braking performance. Highly recommended for heavy work trucks and all types of towing applications.